We at Rafter W Ranch are passionate about sustainability. We’ve always been committed to the Eat, Rest, Regenerate mentality for our grass-fed beef farm. We’re excited to announce that we recently took an extra step to become an Audubon certified farm and are now proud members of the Conservation Ranching program. The National Audubon Society is a nonprofit conservation organization focused on protecting birds in the wild. Cattle ranching and bird protection have a stronger connection than what you might immediately assume. According to Audubon, “Birds are a marker of the health of a land”. Grassland birds are currently endangered, and cattle ranching can play a huge role in sustaining their livelihood for the good of the Earth. Conservation ranching is a commitment. Audubon states, “Regenerative grazing practices are adopted (to) mimic past grazing by bison. Pastures are allowed to rest and recover, resulting in a diversity of grassland vegetation across a ranch”. Our values already closely align with Audubon’s standards for a certified ranch. We’ve always believed in honest, clean food. Our cattle have always been fed only grass and minerals, never steroids, drugs, or antibiotics. 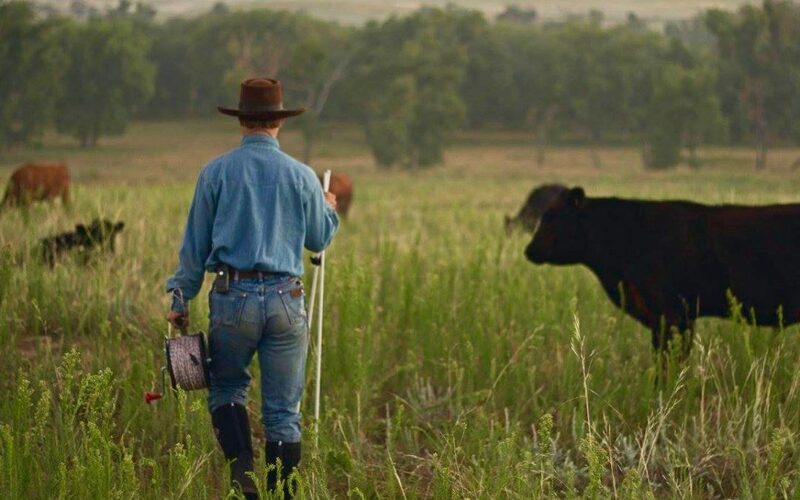 Audubon states, “To be certified, each ranch must also meet program protocols related to Forage and Feeding, Animal Health & Welfare, and Environmental Sustainability. Animals in the program must spend their entire lives on grasslands. Feedlots are not allowed, and growth hormones and antibiotics are strictly prohibited”. We are looking forward to promoting our dedication to playing a beneficial role on America’s soil. With our certification, we are giving a promise to our customers that we’ve been mindful about the way we treat our cattle. With Audubon’s stamp of approval, we are ensuring that our beef is raised in a sustainable environment and has done its part to benefit the wildlife surrounding us. We take this very seriously and are honored to have been recognized by such a reputable organization. To learn more about us, feel free to take a look around our site and contact us with any questions you may have, we’d love to hear from you!